Olympus today broadened their camera lineup with the introduction of the E-M1X, a pro-grade camera with a lot of technology features built into a weatherproof body rated at IPX1, and which has an integrated vertical grip. While the name is suggestive of being an update to the E-M1m2, this is really a bells-and-whistles version of the E-M1 platform, extended with new body, focus, processing, and bristling with technical and performance additions. 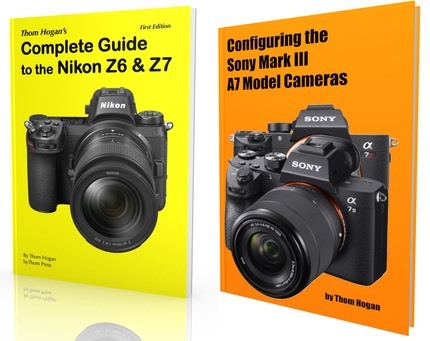 All this comes at a price, both literally at US$3000, and figuratively when you consider that this new camera is almost twice the weight of the previous largest Olympus m4/3 body at almost two pounds, and considerably bigger. In that bigger body, there are a lot of bits and pieces of technology improvements thrown in: dual TruPic processors, an improved gyroscopic sensor, faster High Res Shot functionality, a new faux ND filter approach (really image stacking), a built-in GPS sensor, a temperature sensor, manometer, and compass. Since first hearing about this beast, my question has been and continues to be "why"? Olympus, after a quick and impressive start in mirrorless beginning in 2009, peaked early and never really got much above the 500k unit a year mark, despite making as many as six different models at once. Currently, I have Olympus at around a 4% market share in interchangeable lens cameras, and that's down from a high around 7% when the m4/3 marketing/sales engine was fully working. I don't see the E-M1X budging Olympus' long-term sales one iota on its own, as I'd be surprised if it sells even 50k units in its lifetime. Thus, we have to think of it as a halo product, something that shows off what the company can do and hope that translates to sales of their other products. And that's where I start to have problems with the E-M1X, as a halo product. The big issue to me is exactly that, how big it is for how little truly useful it adds to an E-M1m2. Most of Olympus' lineup, and most of the reason for the successes they've had in cameras throughout history, are linked to the opposite attribute: smallness. To put it in different terms: anyone can make a big auto that's fast. The usual formula for that is to put a bigger motor in and max out all the performance aspects (turbo, supercharger, etc.). Up to a point, going bigger tends to equal faster. But the impressive gains in auto racing is when companies go the opposite way: smaller, lighter, leaner designs that go faster. Most of us believed that's what Olympus was doing (going smaller, lighter, leaner). Now we have the same basic engine (sensor) in a far bigger body, with lots of performance accessories thrown in, all of which gave us a big, heavy product. The Big Three have been tending to go the other way. They're putting V8's (full frame sensors) in smaller, lighter, leaner bodies. Olympus just put a straight 4 (m4/3 sensor) in a bigger, heavier, bulkier body. That's not why I got into m4/3. No doubt the Olympus loyalists are all screaming at my article saying "but it's the lenses, Thom." Okay, maybe. An E-M1m2 with the 12-100mm f/4 is about the same size and weight as a Z6 with the 24-70mm f/4. So I'm getting the 70-200mm (equivalent) thrown in for free. But the E-M1X with that same lens is far heavier, so I'm giving something up to gain something. The question is whether that something is useful and worth paying for. Okay, the screams have increased. "It's not about the f/4 lenses, Thom, it's about long telephoto use!" Again, maybe. Olympus also announced that they're developing a 150-400mm f/4.5 lens with a built in 1.25x converter, which attracts my attention a lot more than the camera does. But things are changing in the lens realm for full frame, too. I now have, for example, the Nikon 300mm f/4 and 500mm f/5.6 PF lenses, which are excellent, small, and light. Plus we have the equivalence game to work through to make sense of any such comparisons. Which brings me back to an examination of what's really different with the E-M1X that I might find useful. It's still 18 fps, like my smaller and lighter E-M1m2. But it focuses better and has a bunch of technology advancements, a few of which I might be interested in. But not in a big, heavy body. 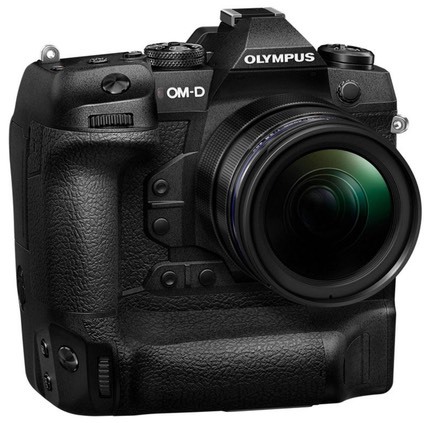 Most of the Olympus user base really wants those improvements in the Pen F, E-M5, and E-M1 models. So the real question I have with the E-M1X announcement is this: when does the halo technology roll down into the products most of us would actually buy? If it's soon, then, thank you Olympus for the preview (and I'm sure a small handful of the pros using m4/3 will buy the E-M1X). If it's not soon, then I don't get it. That was a lot of R&D money and development that isn't going to pay off for anyone any time soon. I'm a unique customer in the market. Between what I own and what I can quickly and easily borrow, I basically can shoot with anything that's being sold today. In the trailing period, that's been m4/3 for a very small and light kit when doing ambitious hikes and events, and a Nikon DSLR kit to do everything else. Now this is just me talking here, but I suspect that I'm not nearly alone in this view: nothing Olympus announced today has me planning to do anything different in the future. I'll probably borrow the E-M1X to review, but I'm not planning on making it one of my production cameras.